The Baltimore Ravens are considering the possibility of signing Colin Kaepernick with Joe Flacco injured and here are five reasons that’s a wise move. As we get closer to August, Colin Kaepernick has had a tough time finding a home this offseason, but he may have one suitor, the Baltimore Ravens. The Ravens have had direct conversations with Kaepernick and he could finally find a home to play in 2017. We all know why Kaepernick is a free agent and it’s not his talent. Baltimore actually makes a ton of sense as the organization has a great track record. The Ravens have won two Super Bowls during their 21-year history. General manager Ozzie Newsome always puts together a great roster but now he has difficult decision to make. In my opinion, there’s no decision to be made, this is a Super Bowl caliber roster and would be a foolhardy mistake to not sign Kaepernick. Here are five reasons why the Ravens signing Kaepernick is a no-brainer. Say what you want about Kaepernick, but this would give the Ravens a ton of positive publicity. Obviously, his stance on police brutality is a serious issue, it’s just that he may not have gone about it the right way. The Ravens, more importantly, have spoken to Kaepernick and he has been transparent about his desire to play. Kaepernick has also gained quite the following in recent months. There would be an instant rush of fans that would start following the team. Even if it’s for a few preseason games, the buzz around Baltimore would go through the roof. The Ravens would certainly sell more tickets and a few jerseys along the way. More importantly, It would signal to the rest of the league that they weren’t going to be the team that blackballed Kaepernick. He is clearly more talented than the Arena League quarterback they recently signed. 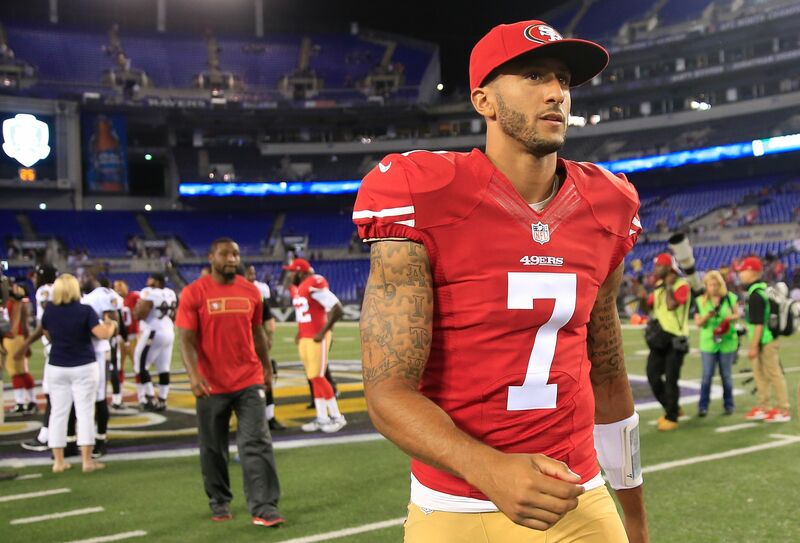 Kaepernick has also come out and said that he would ‘love’ to play for the Ravens. Kaepernick would likely be a model citizen and help out in the community as he often does. He has done a ton of charity work in the past and is someone any organization should want in that aspect.